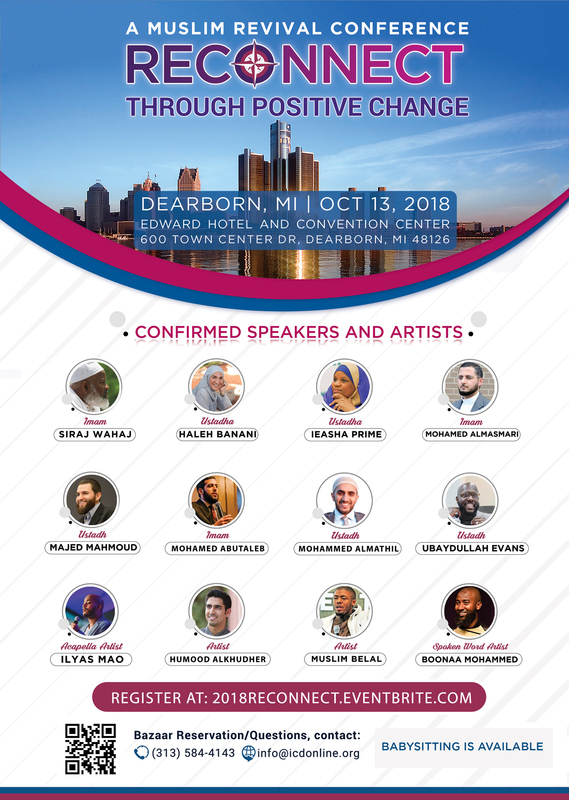 The Iqama Magazine debut will be hosted at the 2018 Muslim Revival Conference – Join us next Saturday, October 13, 2018 at the Edward Hotel in Dearborn, MI! Join us for the 1st Annual MUSLIM REVIVAL CONFERENCE 2018, established in order to serve, empower and engage one of the largest Muslim communities in the United States. It’s time for the Michigan community to host its own high-end jam-packed conferences. This one-day motivational conference aims to inspire positive change within the Michigan Muslim community. We know that you and your whole family will love and enjoy this experience, as there is something for everyone! Are there ID or minimum age requirements to enter the event? This is a family event. Everyone is welcome. Is babysitting available? Yes, babysitting will be available.